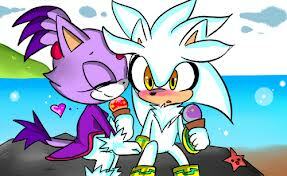 Silver and Blaze. . Wallpaper and background images in the Silver the Hedgehog club tagged: silver silver the hedgehog hedgehog. Awwww!!!! :3 They look like a happy couple!